Raising awareness and advocacy in environmental conservation. Organizing youth camping trips, field excursions, hiking and other outdoor activities aimed at establishing a conservation ethos. Organizing youth workshops targeting youth clubs and societies in academic institutions with the aim of establishing rapport and generation consensus on biodiversity conservation issues. Facilitating new membership recruitment to Nature Kenya. Seeks to create awareness, debate and educate its members and other institutions on emerging conservation issues in Kenya and beyond. Organizes tours to unique areas of wildlife, cultural and geological interest with the aim of educating and training its members on various aspects that emphasize environmental conservation. 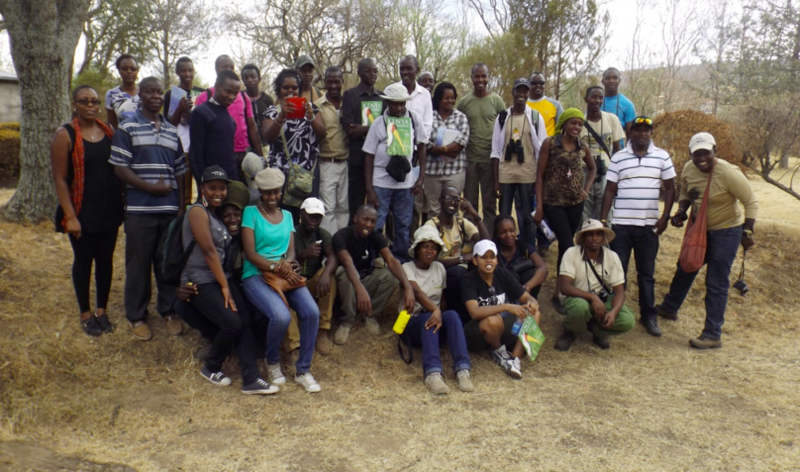 Act as a linkage to conservation groups and organizations with youth in conservation at heart. Participation in National and International days with a view to network and familiarize ourselves with the current affairs. Membership to the Nature Kenya Youth Committee is open to any individual who is a member of Nature Kenya, sympathetic of the objects of the Youth Committee. Meetings are held every 1st Wednesday of every other month from 1200hrs till 1400hrs at Nature Kenya’s boardroom. There is an annual general meeting where elections are held as well as the generation of a calendar of activities for the following year. This meeting is held in December.